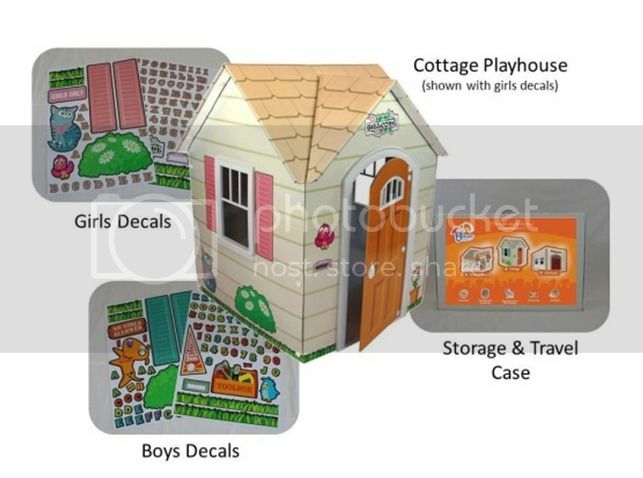 Beezer Playhouses are cute, durable, and interactive with plastic windows and a strong plastic door frame. The double thickness cardboard door features a fun doorknob that is easy for kids to turn and plastic hinges which make the door far stronger and more durable than any other cardboard playhouse. I'd love to win this for my daughter and her friends! Would Love this for our Grandchildren..